Son of Robert Peter and Mary Ann Allen Dack, of Southall, Middlesex. Son of Harold Edmund and Ruby Alice Dadswell, of Shirley, Surrey; husband of Anita Dadswell. 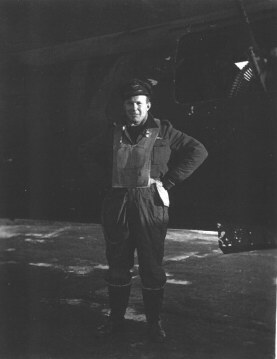 On 7 December 1940 his crew and two others were despatched half an hour ahead of the main force to act as pathfinders by locating and marking the target, Dusseldorf, with incendiaries. The weather was atrocious and Geoff Cole's aircraft lost both engines, falling several thousand feet before he was able to start them again. The other two 'pathfinder' aircraft, captained by **Flight Lieutenant Harris** and Flying Officer Dadswell, were both lost. Buried in DURNBACH WAR CEMETERY. Reference : 7. D. 2. Squadron Leader Mike Dane was a Sgt Signaller on Whirlwinds at Manston in the early 1960s when he joined the Goldfish Club after his aircraft ditched. He had various tours in the SAR role at Manston, Valley and Cyprus and then in the Rescue Co-ordination Centre in Cyprus, and had his final tour in Operations at Episcopi. He was commissioned as an AEO and completed a tour on the Victor K1 on 214 Sqn as well as other Tanker Squadrons. George Cedric Daniel was the son of an engine wright at Markham colliery near Duckmanton. He went to Duckmanton school. He had an older brother called Sidney and a sister (who served in the WAAF as a mechanic at RAF Stradishall later on). George Cedric was a weigh clerk at the same colliery as his dad and joined RAF before the war at age 18. 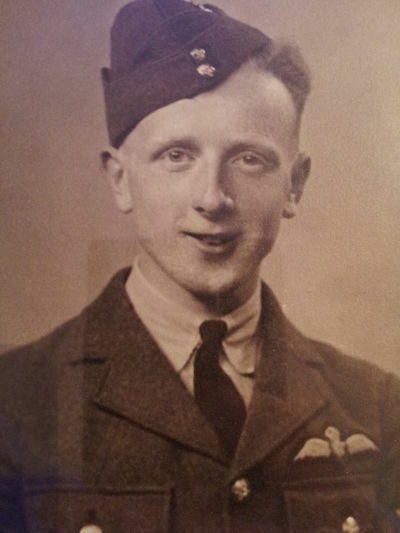 He became an air gunner on a Wellington with 214 Squadron. Fg/Off R W Darracott, Navigator / B Special Ops. 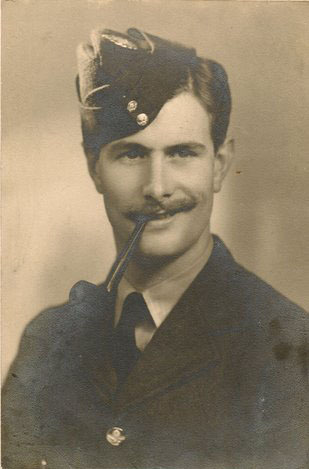 "I have been researching Stirling bomber EE970 for the daughter and granddaughter of one of the crew - the radio operator Sargeant George Daulby who successfully bailed out along with the rest of the crew apart from the pilot - Pilot Officer KJ Simpson who stayed in the plane and died when the plane crashed. Sadly another crew member DC Houghton died as well when his parachute failed to open. A good account of what happened was published in Canadian papers The Sunday Star Metro and The Toronto Star on 7 11 1999. The pilot's body was never recovered and he has no known grave and the family of George Daulby say this fact haunted him for the rest of his life. There is a good chance his body was pulled from the wreckage of the plane and buried but the crash site was in the Soviet sector after the war and not accessible ". Sole survivor of this crew. Named on the following Memorial : RUNNYMEDE MEMORIAL Panel 134. Son of George and Margaret J. Davie, of Langside, Glasgow. Buried in REICHSWALD FOREST WAR CEMETERY. Reference : 6. C. 11. Son of Mary Ann Davie; husband of Joan Davie, of Ashgrove, Queensland, Australia. Bob Davies was born in Gravesend, Kent on 11 July 1920. He enlisted in the Territorial Army in 1938 shortly after Prime Minister Chamberlain's return from Munich after his meeting with Adolf Hitler with the message "peace in our time". From the outbreak of war in September 1939 Bob served with No 313 Company, Royal Engineers (TA Searchlights) on sites in central Kent and on the mud cliffs several miles east of Sheerness on the Isle of Sheppey. Bob was court-martialled at Abingdon for allowing his York aircraft to collide with another York over Karachi at 1500ft.He was found guilty and given a reprimand. 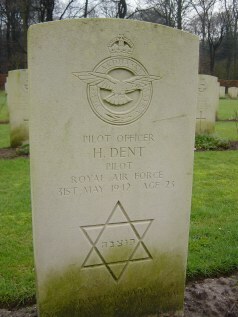 The other pilot, Flt Sgt Heald was also found guilty and was dismissed from the RAF. 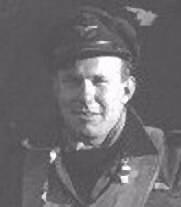 During this period Bob operated from Wunsdorf in the Berlin Airlift flying 330 round trips carrying mainly coal and dehydrated potatoes. `Bob' Davies was born on 11th July 1920 at Gravesend where his father was a Trinity House river pilot. His father had served in the Royal Navy commanding a destroyer in World War One and a flotilla of mine sweepers in World War2. He was awarded the DSC. Bob was actually christened `Bevis Denton' However, from a very young age Bevis Denton Davies knew his own mind and assumed the Christian name of Bob, which stuck. He was educated at Gravesend Grammar School, `matriculated' and gained a place at the College of Aero and Auto Engineering in Sidney Street, Chelsea. Whilst there he joined a Royal Engineer TA Searchlight Battery and then in 1940 volunteered for aircrew training, Offered pilot training he accepted happily. His flying training started in September 1941 on the Tiger Moth'. He was selected to complete his training in the United States, and travelled there by sea. Bob was awarded his wings and commissioned on 5th September 1942. It was at this stage of his flying career that his exceptional flying skills were first recognised and he was, in today's jargon, "creamed off" to become a Qualified Flying Instructor: so after collecting his officer's uniform, he moved to California, and, then South Carolina where he spent the next 8 months, up to the summer of 1943, honing his QFI flying skills. He returned to the UK in summer 1943. It was a frustrating time as he had to go through the whole British retraining process not joining his Squadron until July 1944. Bob and his crew then completed 18 day and night operations on the Squadron over a period of very heavy losses for all of the RAF bomber fleet Bob was a great believer in `luck', and over this period he had his fair share:- in September 1944 a bomb dropped by a Lancaster flying above them fell through his aircraft just aft of the top gunner's position. Apart from the tail gunner losing his oxygen supply, the aircraft continued to behave normally. They set course for home, but as they approached, although losing height, they decided to try to make base - they were, after all, going on leave the next day!. Weather, in the end, forced a landing at Old Buckenham south of Norwich. A man of independent spirit he did not have too much respect for `rules', demonstrated in an earlier episode when an unauthorised long weekend led to some days of reflection in the `bad boys' detention centre at Shedfield. He was also admonished for inadvertently wrecking his COs nearly new `runabout' aircraft. None of this though was considered particularly important as Bob was promoted to acting Squadron Leader and posted as A flight Commander to 214 Squadron flying from Oulton. Bob's luck continued to hold. Returning on three engines from one countermeasure operation, he was given priority to land and the aircraft ahead was instructed to `go round again'. Unfortunately, this aircraft was shot down by a German night fighter intruder. A short time later, the intruder returned and shot up the de-briefing room just as Bob and one of his crew were leaving, somehow missing them. 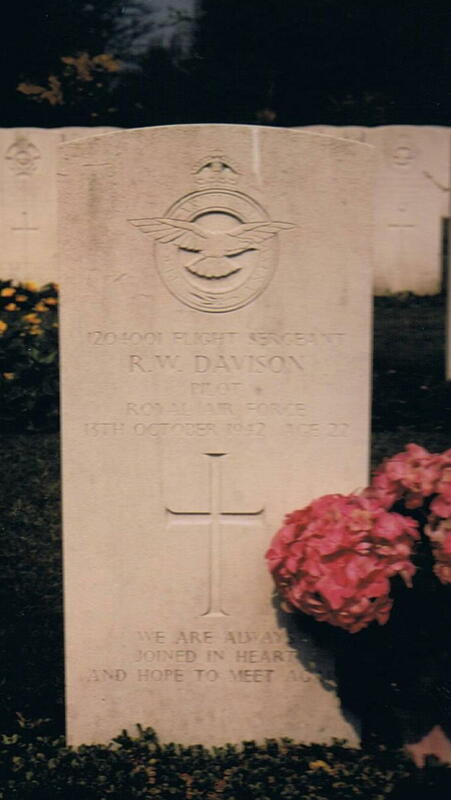 Bob remained on 214 Sqn until the end of the war, completing some 12 operations, including the Dresden raid, before VE day stopped all operational flying. 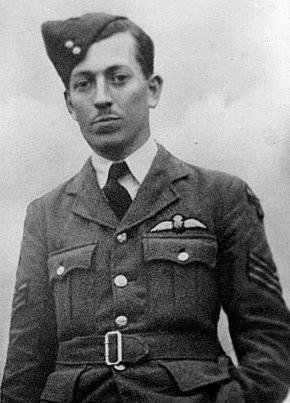 He was recommended for a DFC by his Sqn and Stn Cdr, but it was refused at Group level for reasons unknown. After the war, Bob wanted to remain flying and was offered a post as a Flight Lieutenant flying the B24 `Liberator' on a four year extension to his engagement. In September 1945 Bob was posted to the B24 Ground school and in October, joined No 102 Squadron engaged mainly in trooping flights to Karachi. Unsurprisingly it was Bob who flew the last operational Liberator sortie. In 1946, Bob converted to the Avro `York' and joined No. 242 Squadron at Oakington flying lengthy trooping flights to Singapore. It was on this route in 1947 that he collected his Court Martial. On one trip flying down the Gulf, he caught up with another of the Squadron aircraft, and indulged a little unauthorised formation flying - which might have passed unnoticed had they not been involved in a slight collision. Both aircraft landed safely but disciplinary procedures were inevitable. Bob returned home under close arrest, and was fortunate to receive only a reprimand and loss of his B/VIP flying category from the Court Martial. He was grounded for a period working in squadron ops and then only allowed to fly freighting sorties. But In the summer of 1948, the Berlin Airlift changed everything and in some 10 months he flew 330 sorties, an average of 1 a day. After his outstanding efforts on the airlift, he was posted to White Waltham, as the personal pilot to the CinC Home Command - Air Marshall Sir Robert Foster, flying the De Havilland `Dove/Devon'. Bob and his navigator were exceptional aviators - a necessity in the VIP role. Their skills were highly regarded by the Air Marshal despite some unusual but successful bad weather approach techniques and when he was promoted to Air Chief Marshal and posted to RAF Germany, Bob and his Navigator went with him. Bob was to fly some famous politicians/world leaders including the German leaders, Conrad Adenauer and Willi Brandt, who always rewarded him with a case of Rhine wine. During this period he was awarded his AFC recommended by his ACM, but in his usual stubborn way insisted that if he was to be decorated, then so should his Master Navigator who was duly awarded the AFM. In early 1955, Bob returned to the UK to join the Transport Command Examining Unit, where he qualified to examine pilots all over the world. Apart from flying, Bob had two other great passions in his life: one was his beloved Bull Terriers, of which he had nine consecutively over 45 years; the other was cars, particularly owning and driving large American cars. Apart from a very brief sojourn in the insurance industry, the next few years all involved driving and chauffeuring using his own and others cars until finally he became a chauffeur with the Bahrain Embassy, for whom he worked for 13 years until his final retirement in 1990 at age 70. Bob's final years were trying; his rapidly failing eyesight meant he had to give up the pleasure of owning and driving his special cars. As his eyesight continued to deteriorate he could no longer read, and had to rely on `talking books'. Bob bore all of this with stoicism and fortitude, his dry sense of humour always to the fore. I have briefly covered the life and deeds of a friend and fellow airman but what of the man that we and others knew; those that flew with him and entrusted their lives to him and to his decision making. Bob was an exceptional pilot - one of the top 10% - and more importantly, a thinking but risk taking pilot - he was also lucky and brave!! He was a man of his time - taking life in his 2 hands and embracing it - this led at times to mistakes and heartache but he never lost the twinkle in his blue eyes. He had no respect for self important, self serving authority - but he nevertheless rose above some difficult times to become a highly respected senior officer in his Service. In an RAF career spanning some 23 years, of which nearly 20 had been in the cockpit, Bob flew 30 wartime operations and 330 flights on the Berlin Airlift; in a total of 23 different aircraft types and 7315 flying hours. He still felt that he - a survivor - had a responsibility to those who didn't finish the course and he completed a great act of pilgrimage, identifying and recording the graves of all those airmen who had died flying on our 214 Squadron. Bob to the end was a truly lucky man. 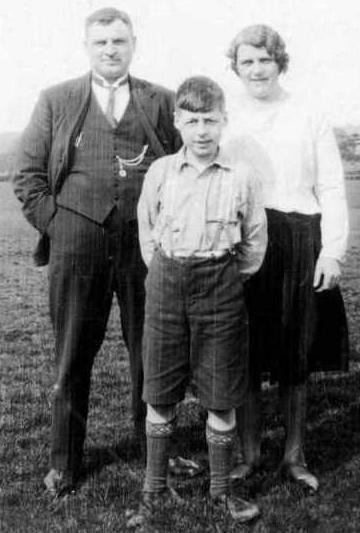 Son of Evan and Elsie M. Davies, of Gilfach Goch. Glamorgan. 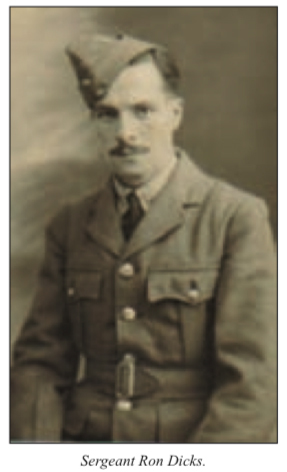 LAC Thomas Hubert Davies , 1218754, Royal Air Force Volunteer Reserve , Nationality : British. KIA 12 August 1945 Age 23. He is buried at BARI WAR CEMETERY. 12.F.8. Son of Walter and Jessie Davies, of Edinburgh; husband of Ethel Marjorie Davies, of Edinburgh. Plt/Off William Davies served with 214 at Stradishall. Buried in BERLIN 1939-1945 WAR CEMETERY. Reference : 4. A. 7. Son of William and Sarah Jane Davies, of Cardiff; husband of Sarah Lilian Davies, of Cardiff. Buried in HEVERLEE WAR CEMETERY. Reference : 2. J. 4. Son of James William and Henrietta Davies; husband of Beatrice Davies, of Ladywell, London. 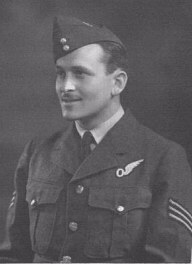 Sgt Davies joined the RAF in 1940 His father was a member of the London Metropolitan PoliceForce and a native of Llangwm. Sgt Davison was injured and taken POW. Buried in KIEL WAR CEMETERY. Reference : Coll. grave 1. C. 4-7. Ron was born in 1920. He married Marjorie in Spring 1942 in Blackpool, Lancashire. Son of Arthur and Mary Day of Aylesford, Nova Scotia, Canada . Operational Commander A Flight as per Plt/Off Bill Foskett's log 31 May 1944. After enrolling in RCAF Reserve in July 1940, and attaining his wings, Plt/Off Bill Day was appointed instructor at Brandon , Manitoba until his transfer overseas in December 1942. After additional training on heavy bombers, Fg/Off Day was posted to 90 Sqdn for operations on Stirlings Jul 1943. 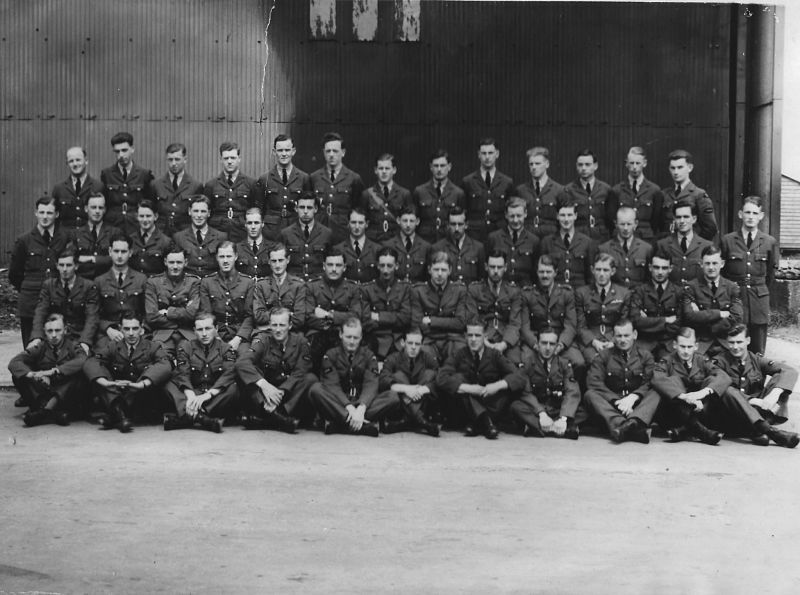 Flt/Lt Day was posted from 90 Sqdn Tuddenham to 214 Sqdn Downham Market 17 Dec 1943. He was made Acting Sqn/Ldr, Flight Commander until end of his tour. By end of July 1944, his crew had completed their operational tour with 27 sorties, 7 of which were with 214 Sqdn on B17s. "While I was growing up, Dad never talked much about the war, and his part in it. I did not know he was sworn to secrecy about his 100 Group work until late 1970s. I can say that he had the deepest respect for his crew, and most of his senior officers, especially W/C Des McGlinn whom he was particularly fond of. My understanding was Dad would drag his crew out for practice and exercises at every opportunity, but the hard work paid off, in that they all returned home safely after the war as far as I know." 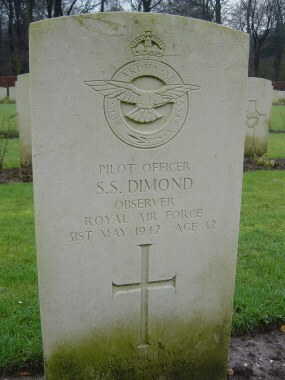 Squadron Leader Day died in 1993. Plt/Off Derek Gordon de Garis , Pilot, 138197, Royal Air Force Volunteer Reserve , Nationality : United Kingdom. KIA 03 February 1943 Age 21. He is buried at AMERSFOORT (OUD LEUSDEN) GENERAL CEMETERY. Plot 13. Row 5. Grave 85. 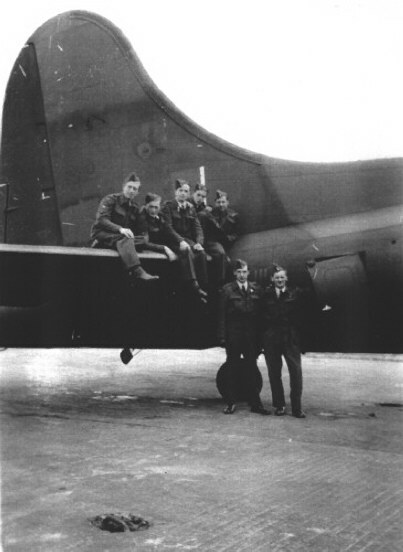 At No 26 Operational Training Unit in 1943 FO Alan Deadman crewed up with Bomb Aimer Bill Wilkinson, Pilot Bob Mackett, W/Op Gordon Lowe, Mid Upper Gunner Bruce Taggart and Tail Gunner Doug Houghton. In July 1943 Flight Engineer Stan Newton joined the crew and they all joined 214 Squadron at RAF Chedburgh the end of the month. 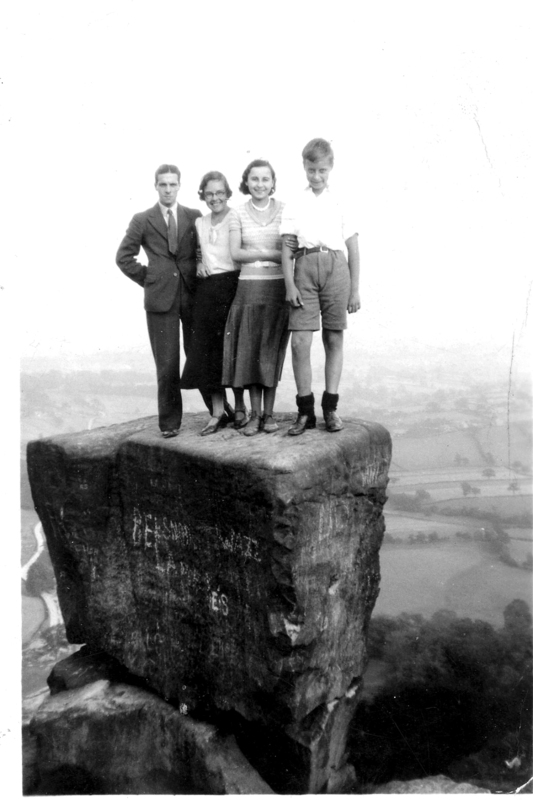 Alan Deadman passed away on 14 January 2015 in Harrogate North Yorkshire. Son of Percy John and Ida Dean, of New Eltham, London. Looking at his logbook (which Simon Dean is the proud possesor of! ), he first flew (joined?) with 214 (B flight) on the 24 March 1941 when he was 2nd pilot to Sgt Browell on air test in Wellington R3208. Reading through the logbook this was his usual aircraft and Sgt Browell was the usual 1st pilot. 1st mission was to Rotterdam on 3rd April 1941. For some reason, on one occasion (10 April 1941) he flew 6708 to Brest, once 1623 (12 April 1941) also to Brest and 2918 (25 April 1941) to Kiel. He then returned to 3208 for the remainder of his career. He died on his 10th mission on 9 May 1941. The mission details are not in the logbook, but Simon seems to remember his father telling him he was flying over Hamburg and that Sgt Browell's body was found in the river there. Simon knows that Alan's body was never found, but his name is on the Runnymede Memorial. It is very sobering to think that Alan joined the RAF in August 1940 and after 8 months of training, his operational career lasted only 6 weeks. Buried in HANOVER WAR CEMETERY. Reference : 12. B. 12. Son of Thomas Henry and Vera Kathleen Dean, of Wood Green, Middlesex. Buried in REICHSWALD FOREST WAR CEMETERY. Reference : 5. B. 5. Son of Walter and Emily Maria Dean; husband of Ada Dean, of Leicester. Sgt George Alexander Denham died on 13 January 2013. He was a 214 Sqn Air Gunner 1944/45. Harry is 2nd row up, 6th from the left. Son of Maurice Arthur and Harriet Dent, of Marylebone, London. Harry left school at 16 and worked in a stockbroker's office in the City. He disliked the job and joined British International Pictures as a trainee at Elstree Studios. When war started in 1939 he could have remained in a reserved occupation but instead volunteered for the Royal Air Force the day after war was declared. He wanted to be a fighter pilot but was rejected on medical grounds because he had flat feet. Obviously discouraged but eager to serve, he volunteered for the Army and was commissioned into the KOSB (King's Own Scottish Borderers) an infantry regiment that marched at 160 paces to the minute (Army No. 156431). In 1941 he applied for transfer to the RAF for pilot training. He was accepted and after training was posted as a bomber pilot instead of the fighter pilot that he had always wanted to be. It is uncertain whether Operation Millenium was Harry's first mission. SEE CREWS AND LOSSES for Stirling (model unknown) W7534 BU-E for further details. Plt/Off Harry Dent served with 214 at Stradishall. Buried in SEPT-SAULX CHURCHYARD. Reference : Grave 3. Son of Harold Martin Dent and of Francisca Violeta Dent (nee Saenz). of Guatemala City. Buried in FODDERTY OLD CHURCHYARD. Reference : Plot 7. Grave 1033. Son of John S. M. Dewar and Bessie Dewar, of Dingwall. From Mass, USA. Served with 214 from 28 February 1943 to 29 July 1943. The crew were based at Chedburgh, Suffolk flying Stirlings. He later transferred to the USAAF in June 1943 and finished his tour of operations at 214 Squadron wearing an American uniform. Buried in RHEINBERG WAR CEMETERY. Reference : 17. H. 22. Son of Joseph and Eleanor Dicks; husband of Winifred Mary Dicks, of Westhouses, Derbyshire. A King Scout, he cycled through England and Scotland in his teens, staying at Youth Hostels, and visiting relatives. He became a student in accounts with Price Waterhouse & Co. in Montreal, studied accounting at McGill University in Montreal, and qualified in 1939 for the Intermediate Certificate of the Institute of Chartered Accountants of the Province of Quebec and joined the firm of Price Waterhouse in Montreal. Throughout this time, David continued his interest in cycling. At a youth hostel in Northfield, Massachusetts, while bicycling in New England in 1939, he met Rosaleen Diana Leslie, a university student on holiday, who later became his wife. 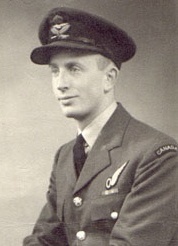 In February, 1941, at the age of 21, David enlisted in the Royal Canadian Air Force, qualified as an Air Observer (navigation, bombing and gunnery), taught Astro-Navigation with the Commonwealth Air Training Plan, and was posted as Navigator to the RAF Ferry Command, taking aircraft across the ocean for use in Britain. 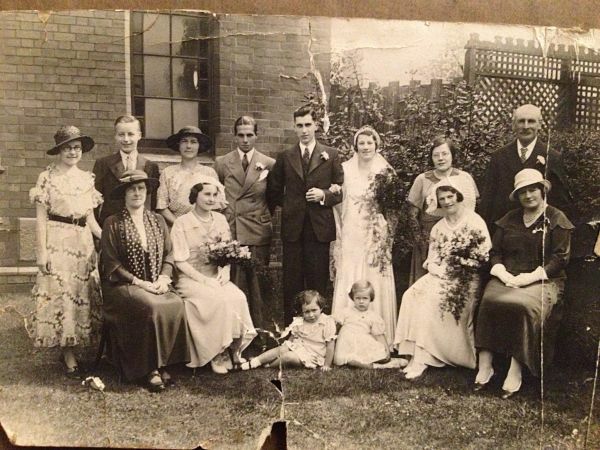 On October 28, 1942, in Westmount, Quebec, he and Rosaleen were married. David was then posted to England where he completed a tour of operations with the RAF as a Navigator with 214 (FMS) Bomber Squadron, attaining the rank of Flight Lieutenant. After the war David obtained a Bachelor of Commerce degree at Queen's University, Kingston, Ontario. After graduation, David worked four years as an income tax assessor with the Federal Government in Ottawa. In 1953 he moved his family to Shawville, Quebec, incorporated Pontiac Printshop Ltd., and published the weekly newspaper, THE EQUITY (founded in 1883), now owned and operated by his eldest son, Ross. In 1982, he bought Custom Printers of Renfrew Ltd, in Renfrew, Ontario, now owned and operated by his youngest son, Andrew. David Dickson served as chairman of the Pontiac Community Hospital, founded the Pontiac County Social Planning Council, chaired the Pontiac County Ground Observers Corps, built a 16 foot Petrel sailboat, raised horses, and always maintained an insatiable curiosity about the origins of humanity on this planet. During his sixties, he took on the task, with his wife, of editing "Avenging in the Shadows," a book published in England about RAF squadron 214 in which he had served, and then co-authored "The Dickson and Leslie Family Histories," published by Custom Printers of Renfrew Ltd., Box 415 Renfrew, Ontario K7V 4A6, the research for which required considerable travel in Nova Scotia and Scotland. He retired in 1984 and died in 1992. Also see record for Plt/Off C M Didsbury. They could be the same person. Son of Harold Guy and Euphemia Didsbury, of Wellington, New Zealand. Also see record for Plt/Off Didsbury. They could be the same person. Attended Dartford Grammar School Kent. Trained as a solicitors clerk before joining Metropolitan Police 26 September 1932, warrant number 122436, serving at City Road Police Station London. Joined RAF Pilot Officer and during observer training at Winnipeg Air Observer School Canada won the Starratt Memorial Navigational Watch for highest marks achieved in final exam: 147 out of 150. Sydney was also fluent in German. He was killed during Op Millenium, the big 1000 bomber raid on Cologne Germany. His comrades were killed with him when their aircraft crashed near Monchengladbach however the reason for the crash as yet is undetermined. 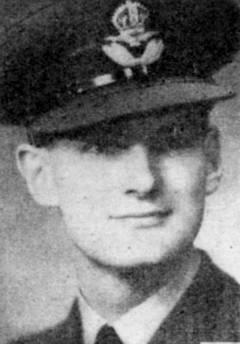 Sgt E Dixon, KIA 1 - 2/ 04/1942 piloting Wellington 1c, serial Z8805. The Squadron lost 7 Wellingtons this night. Only 1 of the 42 crewmen in these 6 aircraft survived, a Sgt C.H. Davidson in W/O1 Page's a/c. October 1942 at 14 OTU Cottesmore. Jack and his crew formed here and stuck together for a long time. Jack Dixons log book says he finished at 14 OTU .He was assessed as an "average" pilot in his log on 5th January with 406 hours under his belt. Subsequent history reveals he was anything but "average"! Jack and crew arrive at 1651 HCU Waterbeach (5 miles north of Cambridge) to convert to Stirlings for I month. Jacks first logged flight at 1651 accompanying a F/Lt Cope (Instructor) flying as a second pilot on a raid to Wilhemshaven, bombing on PFF flares. This was Jack's only February flight with conversion training flights starting on 3rd March. Jack Dixon's first flight as captain - logged as a 5 hour trip. All the crew were happy admiring the views on the way to St Nazaire to bomb submarine pens which had been lit by flares. However as they flew over La Rochelle they had their first experience of flak with shells bursting nearby , all went very quiet on the plane with no more casual conversation! Got them all thinking. Only the crews second Stirling trip "gardening", dropping mines near Texel (an island off the Dutch coast). On return to base, and whilst in circuit at 2000 feet over Chedburgh, they collided in the dark with another Stirling losing their port tailplane and rear gun turret. Jack got a Green Endorsement in his log book for safely bringing the Stirling back to Terra Firma. Ops to Hamburg. Early days of the use of WINDOW (chaff) by the crew. F/Sgt Simpson with them as 2nd pilot. The Stirling had a much lower ceiling (13,000 feet) than the other planes on the raid (Lancs at 22,000 and Halifaxs at 18,000) who had arrived before them. On the raid Jack felt a thud whilst at the controls and when they arrived back at base an unexploded incendiary bomb was found lodged in one of the fuel tanks in the port wing! Obviously dropped from a bomber above. At 11,000 feet, with bombs gone and whilst still over their target the crew were attacked by 2 fighters. The port outer was on fire and the starboard outer feathered. Eventually the port prop fell off and they were then able to extinguish fire and restart the starboard outer. Very low on fuel they landed at Ford. Jack records this trip as "Shakey Do" which was probably something of an understatement, either way he was awarded an immediate DFC. Second pilot on this trip was a F/O Carl Puterborough (RCAF). Just 4 days later, interestingly and very unusually, Jack whilst on Compass Swings logs "Nervous - no time to be so during the drama of getting back", suggesting that they were feeling the pressure. Flying at 5000 feet. Compasses and all nav aids U/S except H2S downward radar. They were lost but found an enormous glow in the sky which they reckoned must be Paris. The crew headed north, found the coast and subsequently made it across the Channel making an emergency landing at Ford (again) whilst very low on fuel. The engines petered out at the end of the runway, even before they were able to get to their "pan".Now that really was low!! Their mission was to a marshalling yard in France. Logbook re starts with Jack still as pilot but now ranked as Squadron Leader. They were with 1653 HCU flying Lancasters with four Operational Flights shown, the last on June 1st 1945. Log shows a summary dated 2nd June 1945. 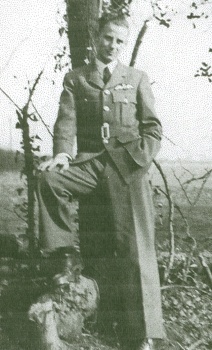 Jack stayed on as Squadron Leader at O/C D Tactical Flight of 1653 Heavy Conversion Unit (which was formed at Chedburgh in November 1943), flying as a Pilot Instructor. There is much more information on the crew record for Stirling ??Dixon. Sqn/Ldr Dixon was an old boy of Emanuel School Battersea. Buried in WERKENDAM PROTESTANT CEMETERY. Reference : Row 8. Grave 2. Son of Arthur and Alice Dobson, of Allerton. 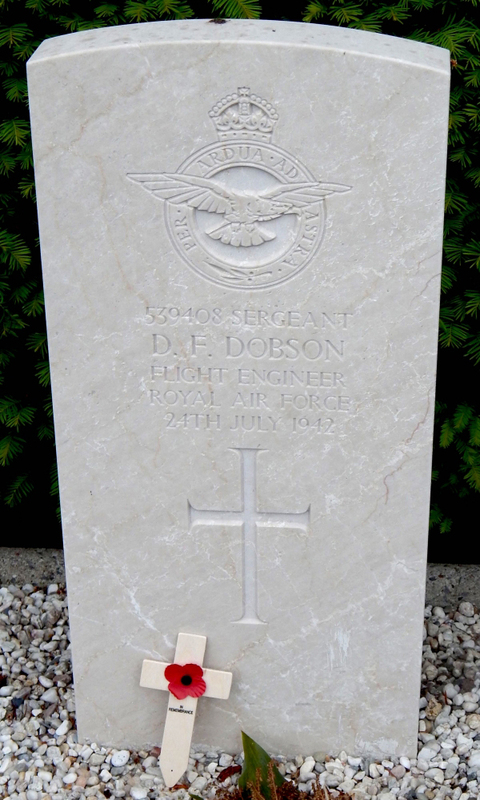 On 7 November 1941 Sgt Dobson was posted to 214 Squadron from 21OTU. On 26 February 1942 he was posted direct to Malta, en-route to ME for 99 Squadron in India. Buried in REICHSWALD FOREST WAR CEMETERY. Reference : 3. N. 18. Son of John and Rose Dodd, of Greenock, Renfrewshire. Buried in CALAIS CANADIAN WAR CEMETERY, LEUBRINGHEN. Reference : 3. A. 11. 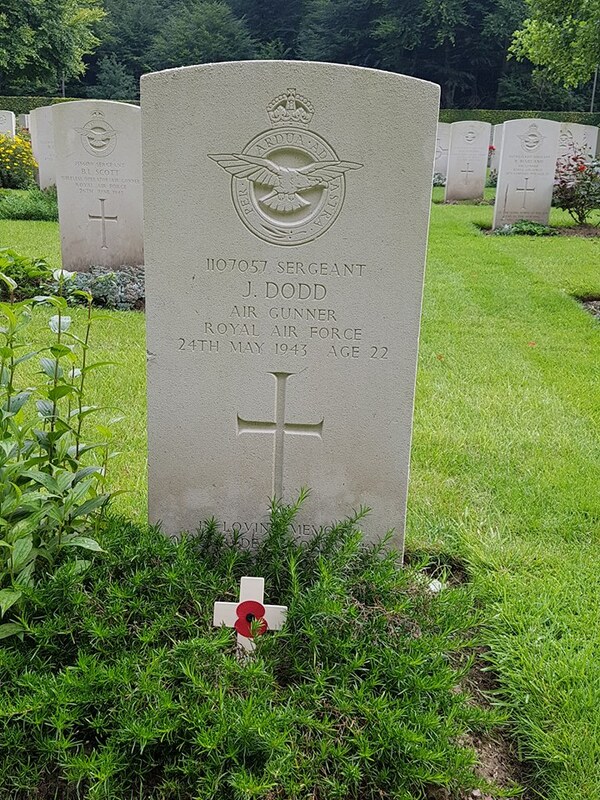 Plt/Off Robert Leslie Dodds, was a navigator aboard Fortress III, HB767, BU.A 214 Sqn when it was shot down over the coast of N France on 12th/13th September 1944. He managed to survive for several days thanks to the bravery of a French family. Robert attended the Dukes School in Alnwick. Please follow this link in memorials above to their roll of honour site. "R.L. DODDS is something of an enigma in that he is buried in a Canadian War Cemeterary (Calais) and the C.W.G.C. does not record his next of kin. In "Forty Years On - the DSOB casualties",it states that his father was an inspector in the Northumbria Police and presumably moving with his parents around Northumberland and Tyneside he had a number of addresses and schools. The record shows him attending schools at Wooler, Alnwick and then Lemington, Newburn. He then worked for Carse and Goodger before becoming a member of the Alnwick Gazette, the weekly newspaper. In the acknowledgements for information for the book, the Gazette is credited as the main source for the info on Dodds. Admittedly, he does not appear on the Wooler, Alnwick or Newburn war memorials but from my research over the years I know that many of these "frequent movers" are not so recorded." Plt/Off Dodds is listed in the London Gazette in issues 36503, 36712 & 36744. Named on the following Memorial : RUNNYMEDE MEMORIAL Panel 32. Son of John and Emily Ross Forrest. Buried in DURNBACH WAR CEMETERY. Reference : 7. D. 6. 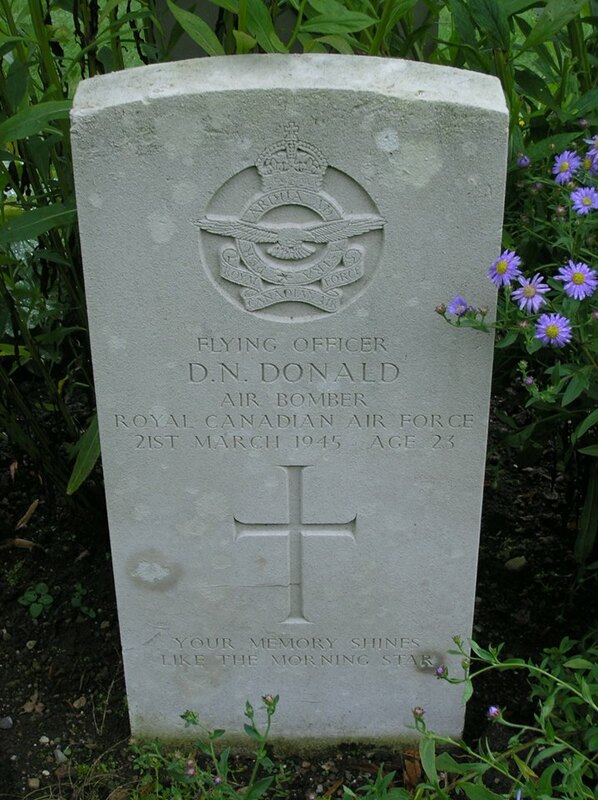 Son of Charles D. Donald and Fanny Donald; husband of Corinne Donald, of Indianapolis, Indiana, U.S.A.
Fg/Off Donald was a specialist operator. 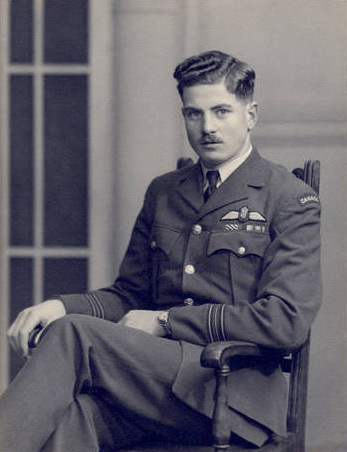 Patrick Dougherty joined the RAF in 1942, at the age of 18, having previously been a member of the ATC. He undertook flying training in the USA with 5 BFTS from 1943 to 1944 at Clewiston Florida , when he flew the Stearman and the AT6A Harvard. Returning to England as a Sgt Pilot in June 1944, he converted to the multi-engine role on the Oxford at RAF Calveley before learning to fly the Wellington at 85 (Bomber Command) OTU RAF Husband Bosworth. In April 1945, he converted to the B17 Flying Fortress when he served on 214 Sqn based at RAF Oulton at the end of the war in Europe . He was commissioned and promoted to Flying Officer at this time. Subsequently, in common with many 4-engine pilots, he moved to Transport Command where he flew the B24 Liberator with 102 Sqn from RAF Bassingbourne in a troop carrying and aeromedical role returning FEPOW from India and the DC3 Dakota with 53 Sqn from RAF Waterbeach, mainly to Berlin . His final flight as a pilot was on 28 January 1948 in Dakota KN523 on an instrument and local flying sortie out of RAF Waterbeach. He retired from the RAF in 1948 and went on to have a very successful career in the cable industry, with Johnson and Phillips Ltd, Enfield Standard Power Cables Ltd and was Managing Director of Greengate Cables Ltd. His final appointment was with the Overseas Development Agency in Zambia . Patrick Dougherty died on 18 November 2009 at the age of 86. His first wife, Valerie died in 2002. He remarried in 2005 and is survived by his second wife, Nora and his only son from his first marriage, Air Vice-Marshal Simon Dougherty RAF Retd, a former Director-General Medical Services (RAF). Buried in REICHSWALD FOREST WAR CEMETERY. Reference : 5. B. 4. Son of William Isaac and Catherine Douglas, of Waunarlwydd, Glamorgan. Back in the UK on 8 April 1945. 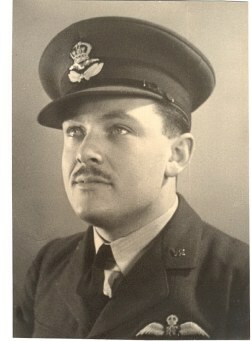 FS R O Douglas RNZAF died on 10 October 2012. Sgt Downs daughter, Helen, was only 9 months old when he was killed. He served with 214 Squadron during 1944 and 1945, first on Wellingtons and then on Fortresses. Sadly he died in 2004 having suffered Alzheimers for 7 years. Named on the following Memorial : RUNNYMEDE MEMORIAL Panel 148. Son of Ernest John and Margaret Dowson, of Tolworth, Surrey. 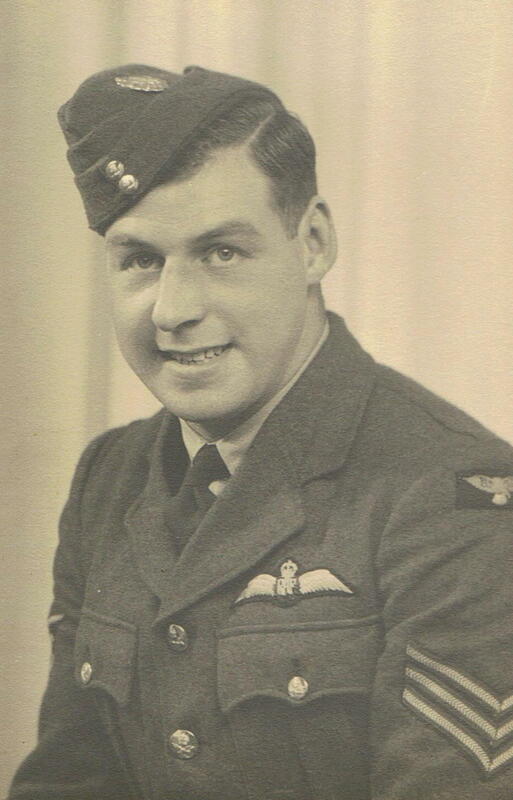 Source : Cathy Horton, family of Sgt Dowson, is currently researching details of his RAF service. Cheryl Garner, Great Niece of Thomas Frank Richardson and CWGC. He died on 28 November 2011, aged 95. 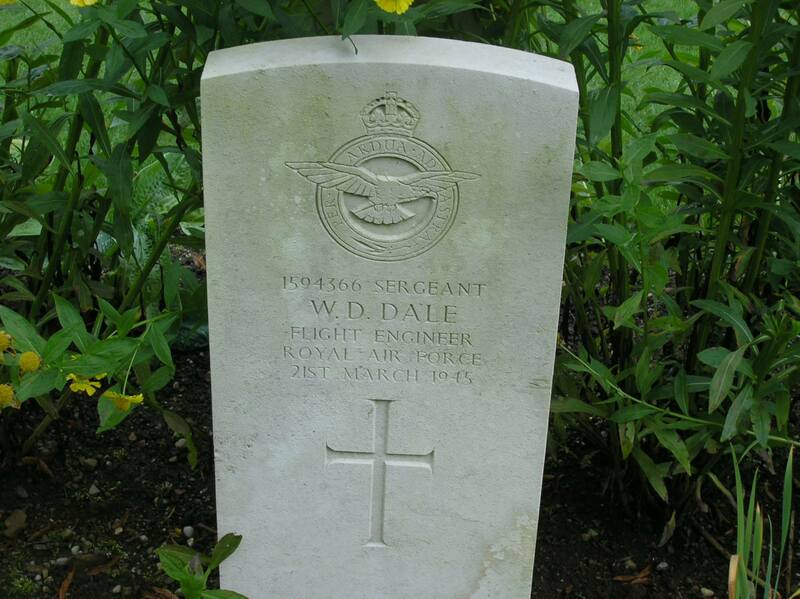 Sqn/Ldr Michael Thomas Doyle , Flight Commander, 504369, Royal Air Force , Nationality : British. KIA 19 August 1968 Age 39. Date of Birth 30 December 1928. Stationed at RAF Marham. Born in Paddington, London. He had assumed his responsibilities as a flight commander on the morning of his death. My name is Barry Hughes I am part of the RAFA Leek branch in Staffordshire, on Christmas Eve we lost our oldest member Eric Duffin 94 years old. 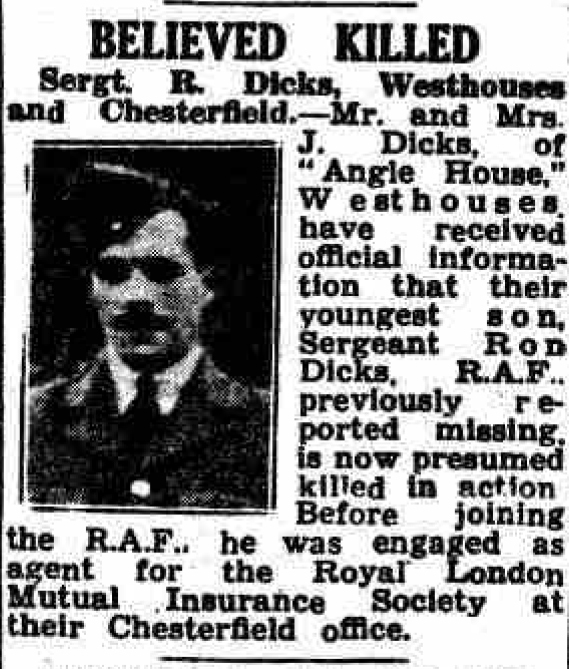 It is our understanding that he joined the RAF in 1942 leaving in 1947. He completed his engineering training at Squires Gate and was then posted to 214 Squadron as an AC 1 . We are hoping to start the history of our members and were wondering if you had any information to help us. Eric's wife told me that he was originally working on Short Stirling's and then B17 seems to have spent time around east Anglia as I did myself from 1960 to 1969. If anyone can help with more information about Eric, please let us know and we will pass this onto Barry. Buried in DURNBACH WAR CEMETERY. Reference : 2. F. 1. 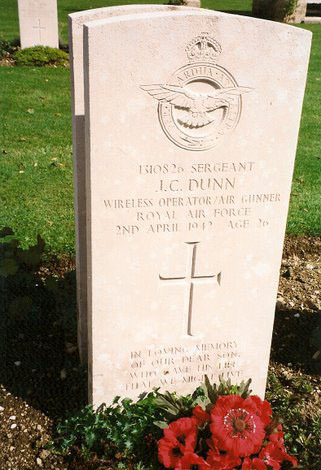 Son of John Dunn, and of Elizabeth M. Dunn, of Clacton-on-Sea, Essex. Sgt Dunn was to have been married just three weeks after he was killed. Best man was to have been Sgt Peter Wood. The plane flown by Flying Officer McCarthy (K6945) appeared to get out of position in the formation when turning and came up over the top of Pilot Officer Warner's machine (K6950). I banked to the right. When I saw McCarthy's machine again it was standing on its tail in the air. Then it dived towards the earth with its engines full on and burst into flames. Pilot Officer Warner's aircraft fell into the river Wissey after its tail fell off. Buried in BECKENHAM CREMATORIUM AND CEMETERY. Reference : Sec. L.7. Grave 19794. Buried in REICHSWALD FOREST WAR CEMETERY. Reference : 5. A. 17. Son of William and Georgina Duthie, of Fraserburgh, Aberdeenshire. Buried in SEPT-SAULX CHURCHYARD. Reference : Grave 2. Son of Ernest Samuel and Sarah Louise Dutton, of Acton, Middlesex.